Although cerebrovascular ultrasound imaging is a relatively small subset of the ultrasound industry, it is no less important than the others and it certainly has played a role in saving the lives of many people. From the diagnosis and prevention of strokes to other aspects involved with vascular imaging of the brain, this field of ultrasound use is growing every year. 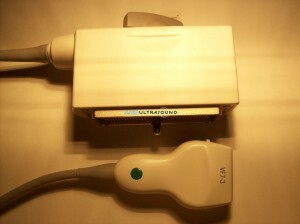 There are still a fairly small number of ultrasound machines suitable for cerebrovascular ultrasound imaging, but you can find them at UsedUltrasound.com, along with a selection of cerebrovascular ultrasound probes and transducers for sale. 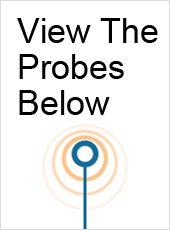 If you are having trouble finding the right probe for your cerebrovascular ultrasound machine, we can help you locate it, even if you do not see it listed in our inventory. 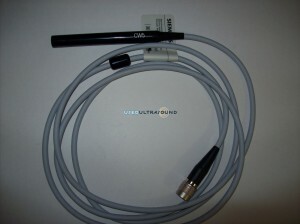 We have the ability to locate nearly any ultrasound probe or transducer, even hard to find and obscure models, and our connections allow us to acquire them for less and pass the savings on to you. And if you have a cerebrovascular ultrasound transducer or probe that is in need of repair, we can help with that as well. We also offer ultrasound service contracts to help you keep your repair expenses to a minimum. When you buy any of the used cerebrovascular ultrasound probes for sale at UsedUltrasound.com, you get the security of our 100% satisfaction guarantee. We include that security at no additional cost because we are confident in the quality of the refurbished ultrasound equipment we offer for sale. We thoroughly test and inspect every piece of equipment, and we keep our prices low so that our customers will come back for all their ultrasound needs. Check out the selection of used cerebrovascular ultrasound transducers for sale on our website, and please contact us by phone or email if you need a current price quote or any additional information.